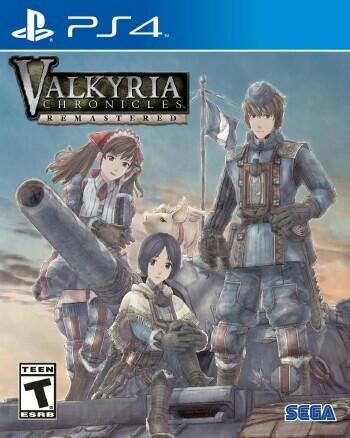 Back in 2008, SEGA released the original Valkyria Chronicles for PS3 and the game was widely accepted by a variety of critics and fans alike for its engaging plot and tactical strategy gameplay. 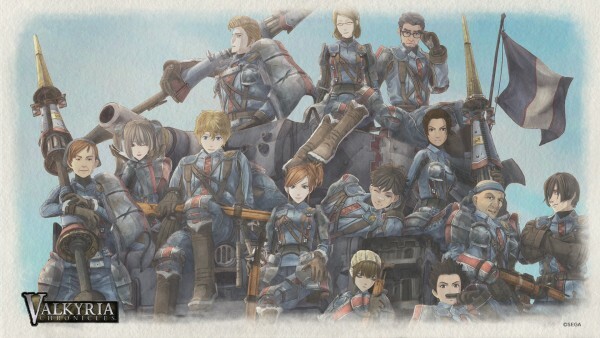 It is now 2016, and Valkyria Chronicles has taken root in the heart of fans from all over the world. The characters have also been seen in spin-offs and other forms of media including Project X Zone. 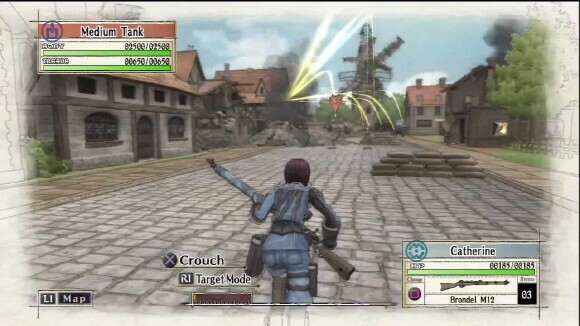 With the upcoming, Valkyria: Azure Revolution; Sega has rereleased the original Valkyria Chronicles to hold fans over and possible draw new ones into the fold. 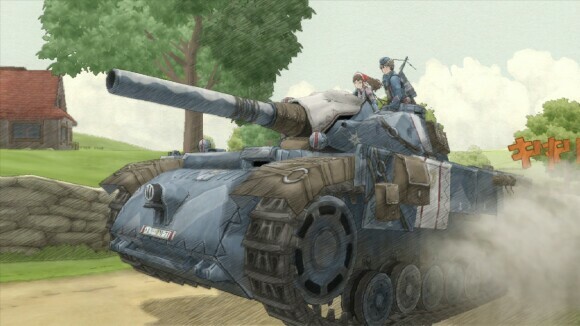 The story of "Valkyria Chronicles" takes place in a fictional World War II setting, following the path of Welkin Gunther and Alicia Melchiott. 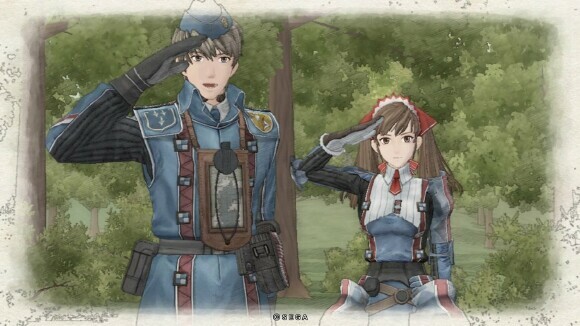 Welkin is the son of country war hero, Belgen Gunther. Alicia, however, is the Bruhl town watch captain. One day, Imperial forces invade Bruhl and assault the townspeople. 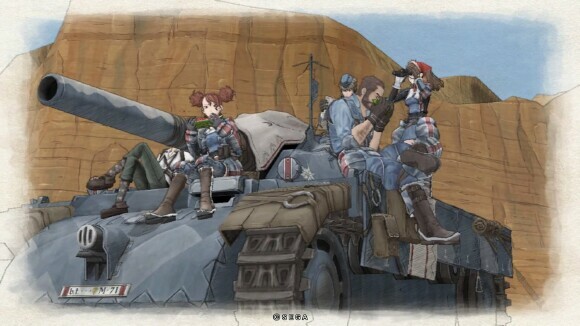 It is on that day that Alicia, Welkin, and his adopted sister Isara take up arms to defend their hometown; in doing so they make a name for themselves within the militia and are assigned to Squad 7 to fight against the imperial forces. 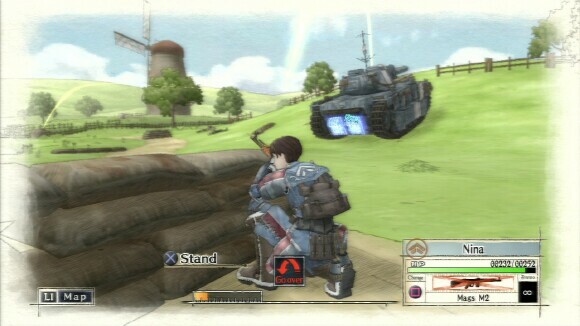 Valkyria Chronicles combat is very heavily reliant on strategy and thought more so than running in and trying to kill everything in sight. Players choose characters that they want to place within Squad 7 based on personal attributes. These attributes can either be beneficial or detrimental to the situation at hand, but it is completely up to you to decide how to proceed with your team. When in battle, you have the option to set which members will be on the battlefield and in order to win you must meet specific mission objectives. Most of the missions will require you to take control of an enemy base. Missions are broken up within turns, with players given twenty turns to attack and win before the mission fails. During the start of each turn, players are given Command Points. Command Points determine how many units a player can move during their turn. For example, if you have three CP and five units you can only move three of those units during that turn. At the same time, however, you could also choose to move one unit three times. Outside of CP, units themselves have Agility Points. Units come in five different classes. Scouts, Shocktroopers, Engineers, Lancers, and Snipers. Scouts have the most AP because they can move around the battlefield the fastest, but they aren’t made to take a lot of damage. Lancers have the least AP because they are your anti-tank unit and have the most health. The other three classes are somewhere in between. For instance, Snipers have the best sight range but are the weakest in terms of health while Shocktroopers have decent health and AP but can’t deal out a lot of damage. When players are moving units and traversing the battlefield they should take care to use the cover system and try to stay out of the enemy's line of sight. When moving past enemies, units will take fire from them as long as they can be seen. If you can get your unit to a sandbag, they can take cover and raise their evasion. Enemy units will not attack a player when they enter targeting mode as well. Targeting mode places crosshairs within a reticle and the player lines up the shot that they want to take. It’s a complete dice roll though on which shots will land on the opponent. The closer the reticle is to the crosshairs, the better chance you have to hit. 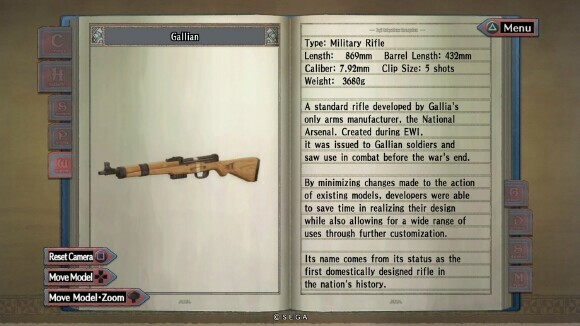 The type of weapon your unit is using will also determine how accurate they will be. Command Points and Agility Points are simple mechanics that will determine whether your team will live or die, which brings me to my next point. Should a unit fall in battle, it is possible for them to be saved by having a fellow teammate get to their body within a certain amount of time. Should an enemy run over their corpse before you reach them, you will lose that unit permanently. The wisest move is to have units within a decent proximity to one another so that they can shoot enemies together and get rescued if need be. While mission objectives can get repetitive, the gameplay always seems fresh and new. Enemy units will choose different routes and will regularly hide in bushy areas and even on rooftops. It is also impossible to tell what units the enemy has unless you have spotted them, which is why having scouts to traverse the field is also highly recommended. After each battle scenario, you are given a ranking, some money, and some experience points. Money is used to fund the Research and Development section in the militia Base of Operations. R&D can outfit your units with better weaponry and armor as well as create better tools for your tank. Experience is used to train your troops and raise their levels. You can split the experience evenly among classes or go all in on one class that you prefer. 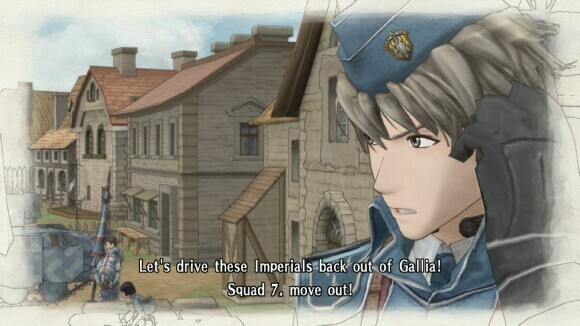 Valkyria Chronicles Remastered is a tactical strategy game, but it is also a story driven RPG and there is a lot of dialogue to filter through. Many of the chapter sections will be conversational pieces about where the plot is headed. It can be a bit overwhelming and it gets very melancholic but it’s a good ride with an excellent payoff. The voice acting is somewhat off kilter from the movement of the character mouths but it doesn’t take away from the game itself. 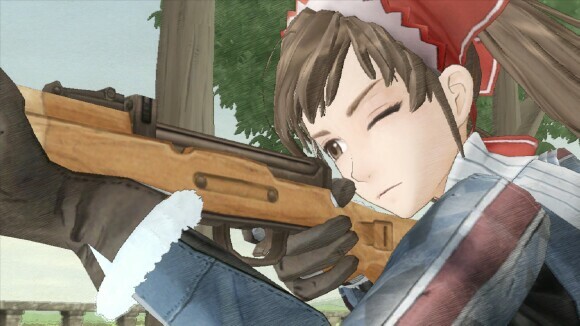 Valkyria Chronicles Remastered brings the game to current gen with 1080p resolution at 60 frames per second. This version not only includes trophy support, but it also has all of the downloadable content that was available with the original. Additionally, Remastered includes both the Japanese and English audio. The option to have both wasn't in the 2008 version. Valkyria Chronicles was originally released in 2008 and eight years later it still holds up as an amazing title. Its World War II setting and gameplay pace set a unique tone for the entirety of the game. If you have yet to play, or you want to give it another spin then I highly recommend Valkyria Chronicles Remastered, which gets 4.5 stars out of TOV 5 Stars.